The dimensions of printable area are: LENGTH 110 cm x WIDTH 43 cm x HEIGHT 6,5 cm that allows to print up to 3 frames simultaneously. 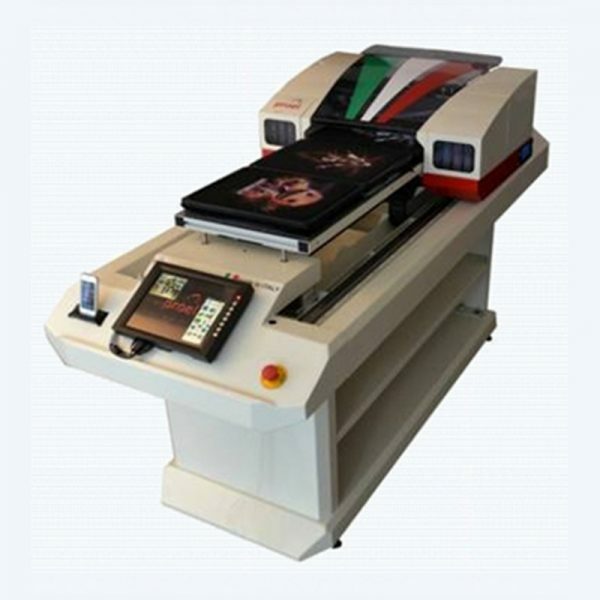 The great advantage of PROPRINT printer is to exploit the whole working area ( both textile and solvent) to realize any clothing and items beside the standard production of T-shirts, sweater and similar.In reference to textile print you can easily realize printing on textile banners, canvas and painting, cotton pad for the mouse, trousers, etc…. The ProPrint print head moves along the whole working area, without any contact with the fabric in order to avoid any possible misalignment between the white layer and the color layer, and moreover it allows for a continuous workflow.For example when the printer has completed a print, the operator is able to remove it and set in a new frame to be printed while the printer is already working on the next print.This allows a continuous workflow avoiding loss of time ( for setting / unsetting of frames). PROPRINT can be supplied with 3 different inks systems: CMYK+ fours white inks channels (for TEXTILE) , double CMYK ( for TEXTILE) for more coverage on white T-shirts , solvent inks ( for SOLVENT). The inks used by us are suitable to print on variety of textile including one hundred percent cotton, cotton-poly blends, and certain types one hundred percent polyester. The inks are made by a special blend on ink solvent based. These inks have not a pungent odor like the classic solvent-based inks, in fact they are safe to use even indoors and can print on any type of material, without some gripping or after-treatment products (but anyway it is depending on the final use of the item). 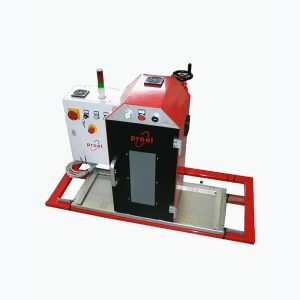 These inks are made specifically for this system and need little maintenance to prevent the clogging of print head. 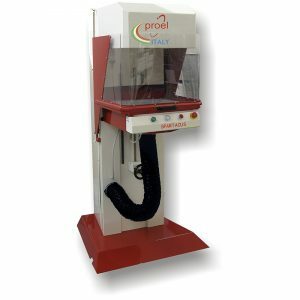 ProPrint is very easy to manage thanks to Auto-cleaning system (also available from Touch Screen display) to prevent the head clogging in cases where the printer is idle for a long period. Touch Screen Display (optional) to manage right away the main functions and to send the graphic file to the printer. Four DC programmable motors ensure an optimum level surface of the working table. 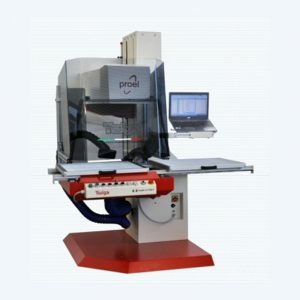 The working table is precision engineered, in order to have the best parallelism between the printing head and the working plan. 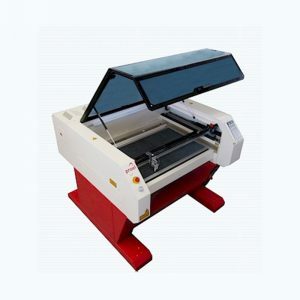 The printing group is equipped with standalone structure and its cover is very easy to remove for a quick maintenance.